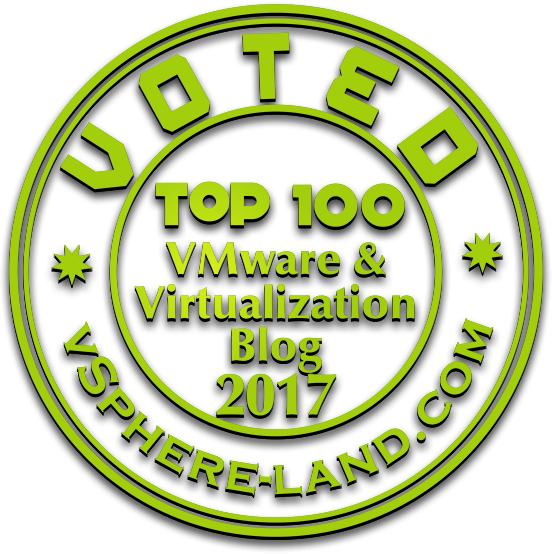 This is the first article on my new VMware and virtualization related blog vLenzker. In the last years I blogged exclusively with Mathias Ewald on vxpertise.net. After many hacks on our blog (and the loss of multiple articles) I decided to start again from scratch and use my traditional nickname as the name for my blog. The topics and content will remain pretty much the same. I will try to explain problems, facts, solutions I observe during my daily doings as an independent VMware consultant and instructor. Anyway my first blog post will be a non-technical related one. VMworld Barcelona is just around the corner and I want to give some advice for those of you who might visit this brilliant city and event for the first time. When you arrive at the Airport Barcelona El-Prat (BCN), the best idea is to follow the VMworld signs to get a shuttle bus to Fira Barcelona (the location where the VMworld takes place). Since your hotel will be most probable close to the ‘fira’ or closer to the city center, it is always a good idea to take the shuttle bus and decrease your taxi fares ;-). During the registration, ask for a subway pass that gives you 10 rides for free (They had this offering last year if you were asking for it) and don’t forget to download the VMworld app for Android and iOS. Recommendation 01: Have enough cash with you to pay the taxi driver. Last year it was always pretty tough to find cab-drivers that were accepting credit cards. Taking the shuttle-bus is not just good for your (or the companies wallet). It’s a great chance to get in touch with others visiting the VMworld. Talk to them, exchange phone-numbers, e-mail addresses or twitter handles to stay in touch with them. Use this event to talk to as many people as possible (yeah I know, I am also not good at this), but hey …. It’s really easy to find a common discussion topic (#VMware) and you never know how your talk will end up. Maybe you will find a new friend or a new expert in a domain you might need one day. During last VMworld I met a lot of great people and to be honest, I can’t wait to see them again. Recommendation 02: Be open, talk to people, follow discussions around you and give your input. Exchange contact data. Twitter is a really powerfull tool during VMworld. Having been registered at Twitter since around 2011 I just recognized its strength during last years VMworld. Connect to people you, chat with a large community (using hash-tag #VMworld) and stay in touch (active and passive) with people that influence the technology and our industry. Visit the vendor parties, gatherings and #vBreakfast. There are a lot of after/pre VMworld activities during this whole week. Make sure you arrive in a good shape since you will walk long distances and won’t sleep that much during those 4-5 days. I can definitely recommend the in-official VMworld starting party on Sunday at the Hard Rock cafe. Even though the tickets are already out-of-stock (no entrance fee), I read on Twitter that a few tickets will be available directly at the door. More infos can be found at http://vrockstar.eu/ . Once again big kudos to Marco Broeken and Patrick Redknap who are organizing this event. VMworld is not just an awesome and fun event where you meet other people out of the VMware domain. The main focus for you (or your sponsor / employer) will be that you increase your network and knowledge on VMware related topics. • Solutions exchange: A complete area full of 3rd party vendor which makes the VMware ecosystem as powerful as it is today. Listen to short sessions and search discussion with the experts at the booths. It’s great just to walk around and see what problems those companies are solving and how they react to your questions, concerns and ideas. • VCDX workshop: On Sunday morning 08:00 AM a VCDX workshop is held at Porta Fira. It is a great chance for everyone planning/dreaming about becoming a VCDX to get tips and hints for achieving this highest VMware certification. You can attend for free and register here. Unfortunately I wasn’t aware of this event and booked my flight that I will land on Sunday in the afternoon. If you want to watch the US VCDX workshop video you can find it here. • vBrownbag tech talks: I guess all of you know the vBrownbag sessions and podcast. It’s a great resource for learning new stuff in the virtualization field and this year they will have again their booth in the hangout space. Take your time and listen to the presentations their. It’s a nice, calm atmosphere and you will definitely have some time to chat with the presenters afterwards. A current schedule can be found here. • Pearson VUE certification: Remember that you get 50% off for any VMware certification during VMworld. If I find a slot I will try to do the VCP6-Delta exam. Just login at Pearson VUE and select as a location Barcelona VMworld to gain the 50% discount (Don’t forget the exam authorization upfront). Even though they have Wi-Fi at the Fira, last years VMworld has shown that Internet connectivity was pretty bad. If you need Internet access, check your roaming plans of your provider. Recommendation 05: Maximize your personal development by planning what your are going to do during VMworld -> Visit the #vBrownbag booth and talk to the experts. My last advice. Try to take some time in the evening to visit the city of Barcelona. It is a wonderful place. Use the evenings to walk around the harbor (or the mornings for a run ;-) ). Keep all your belongings in one pocket and keep your hand on it (especially while travelling with the subway – Barcelona has a lot of thievery expertise). If you visit parties in the city during the evening make sure to stay in bright places. Close to those events a lot of people try to rib-off drunk and not-so drunk people. If you just want to have an awesome view over the whole city. Get to the poolbar at the top of the Renaissance Barcelona Fira Hotel, grab a beer, enjoy the sunset over the city, forget all your sorrows and enjoy the fact that you can attend this wonderful event.